Rise and shine to the melody of birds and a view over the sloping hills of Ohrigstad and the African bush, adorned in hues of amber and gold. 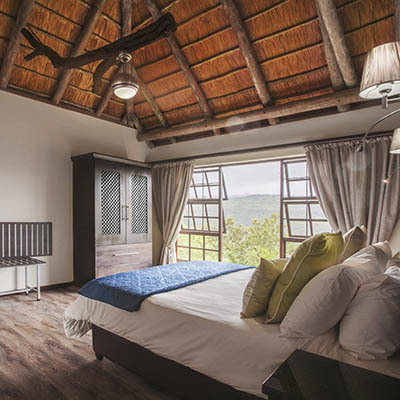 Slowly savour your morning cuppa coffee on a private stone veranda of 52 standard en-suite chalets to choose from; thatched rooves blending elevated units into leaning ‘koppies’. 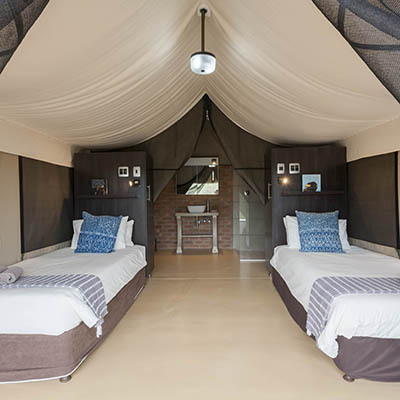 14 chalets have inter-leading doors, converting into 7 family units and an additional 4 standard and 6 luxury suites seamlessly combine class and comfort with the bushveld’s rustic charm. Did someone say bushveld wedding? With a lakeside location, a shady spot under the Maroela Tree and an open chapel, we cater from open-air rustic to traditional for your special day. 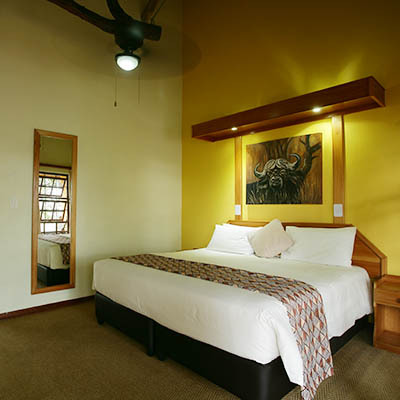 Have a more relaxed reception in the boma, or welcome your guests to the dining room for an elegant affair. 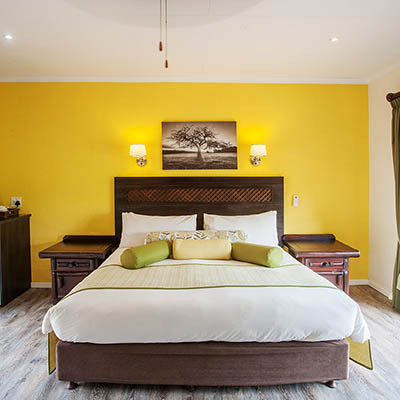 With a bushveld backdrop for photos, loads of luxurious accommodation and mouth-watering cuisine, we’ll have you and your guests lingering longer.